Red Sox Sit Atop the Baseball World ! The fans of the Boston Red Sox are still celebrating their team's World Series Championship. 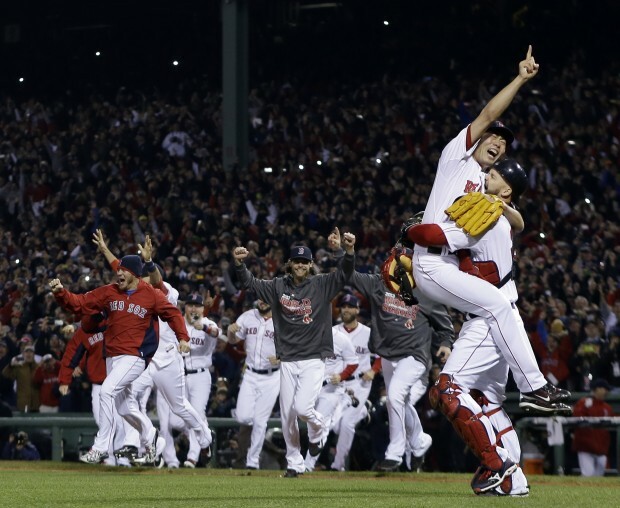 The Red Sox beat the St. Louis Cardinlas last night 6-1 en route to their 8th franichse title and their third championship in the last 10 years. The Red Sox did it with a band of bearded mis-fits who came together as a group after the April Boston Marathon bombings that shocked the country and New England. The Sox, who suffered thru a 93 loss season in 2012, made whole-sale changes entering the 2013 campaign. The new faces and energy led to a 97 win season and a spirited post-season run. 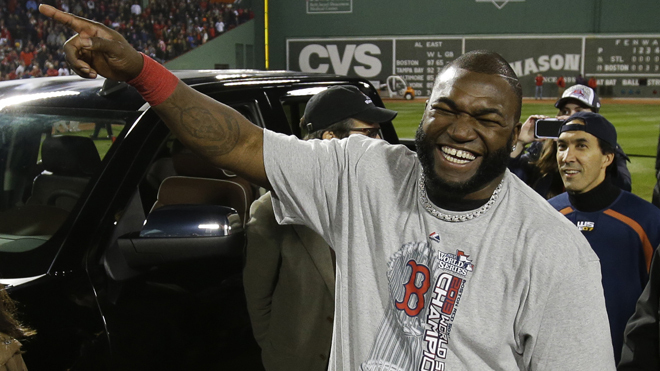 David Ortiz was named the series MVP after hitting .688 in the six-game series. 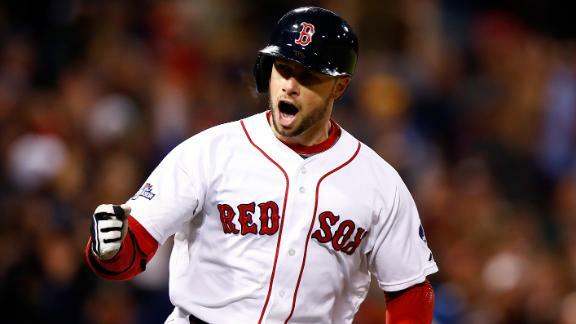 The Red Sox busted the game wide open in the third inning when Shane Victorino slammed 2-1 pitch from Cardinals rookie Michael Wacha off the Green Monster in left field. That swing would provide all the runs the BoSox would need in winning the 2013 title. 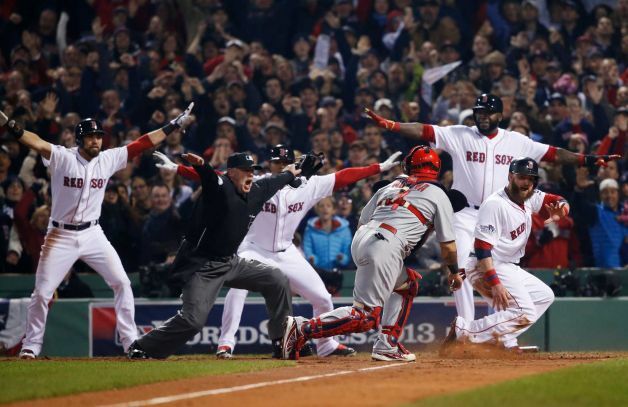 One of the great local story lines to the Red Sox victory was the stellar play of former Chico Outlaw Daniel Nava. (AP) — Klay Thompson scored a career-high 38 points in a spectacular shooting performance, and the Golden State Warriors whipped the Los Angeles Lakers 125-94 in their much-anticipated season opener Wednesday night. Thompson finished 15 of 19 from the floor, including 5 of 7 from 3-point range, to lead the Warriors to the runaway win. Golden State led by 19 at the half, 33 at the end of the third quarter and 35 early in the fourth. David Lee added 25 points, eight rebounds and five assists, and Stephen Curry had 10 points and six assists as the Warriors trounced a rebuilding Lakers team playing without Kobe Bryant and Steve Nash. Jodie Meeks scored 14 points and Pau Gasol had 12 points and seven rebounds for an overmatched Lakers team playing on back-to-back nights. Los Angeles beat the Clippers on Tuesday night in their season opener. (AP) — DeMarcus Cousins had 30 points and 14 rebounds to give Sacramento fans plenty more to cheer about than just having a team as the Kings won their season-opener 90-88 over the Denver Nuggets on Wednesday night. Greivis Vasquez added 17 points and Isaiah Thomas had 16 off the bench to cap a celebratory night in Sacramento as the Kings opened a new era just months after nearly moving to Seattle. Ty Lawson scored 20 points but missed a potential tying shot in the closing seconds for the Nuggets, who started off Brian Shaw's tenure with a loss. Shaw took over for last season's coach of the year George Karl, who was fired after a first-round playoff loss to Golden State despite winning 57 games in the regular season. 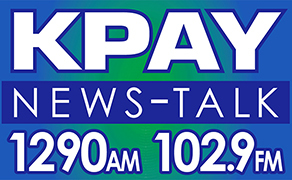 (AP) — Anze Kopitar scored on a power play 2:32 into overtime after setting up Justin Williams' tying power play goal with 7:39 left in the third period, and the Los Angeles Kings rallied from behind three times Wednesday night to beat the San Jose Sharks 4-3. Drew Doughty and Jarret Stoll also had goals and Jonathan Quick stopped 17 shots in the first meeting of the season between the Pacific Division rivals, helping the Kings win for the eighth time in 11 games. Marc-Edouard Vlasic, Joe Pavelski and Logan Couture scored for the Sharks, who finished the first month of the season 10-1-2 and set a franchise record for wins in October. Antti Niemi made 19 saves in the finale of a 3-2 road trip. 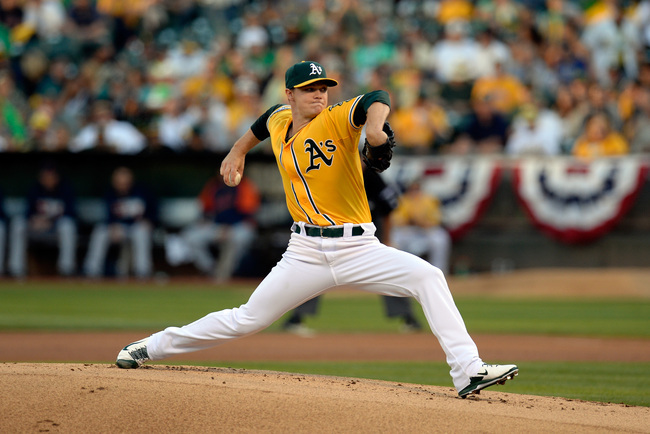 CAN SONNY GRAY TAKE THE A'S TO THE AMERICAN LEAGUE CHAMPIONSHIP SERIES ? 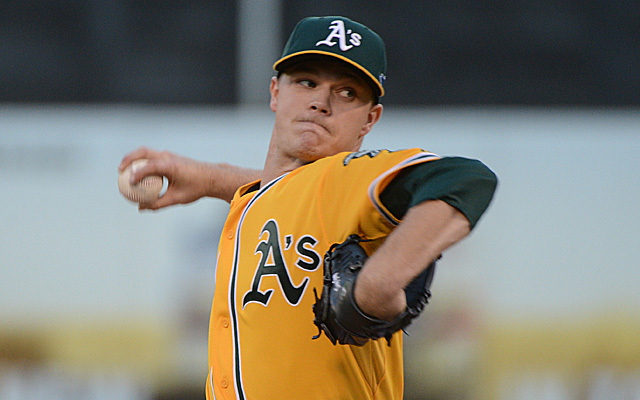 The Oakland A's send 23 year-old Sonny Gray to the mound tonight as they play the Detroit Tigers for the second straight year in a Game 5 of the American Divisional playoff. The task will not be easy as the A's will have to face Tigers ace Justin Verlander for the second time in the series and for the second time in a Game 5 of the divisional playoff. (AP) — Tramaine Brock intercepted Matt Schaub's first pass of the night and returned it 18 yards for a touchdown, Schaub threw three interceptions in all before the embattled quarterback got replaced in the fourth, and the San Francisco 49ers pounded the Houston Texans 34-3 on Sunday night. 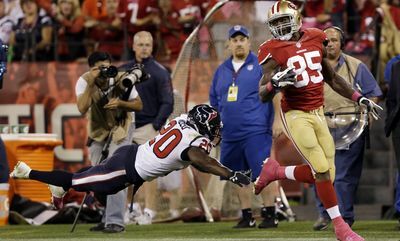 And, Frank Gore ran for 81 yards and a score in his second straight impressive prime-time game. The 49ers (3-2) are right back in the NFC West race with Seattle after the Seahawks (4-1) lost at Indianapolis. Each team has beaten the Texans (2-3) and lost to the Colts, and Seattle still must visit San Francisco on Dec. 8. Anthony Dixon added a 2-yard touchdown run for the NFC champions, while Brock had a second interception and nearly a third. 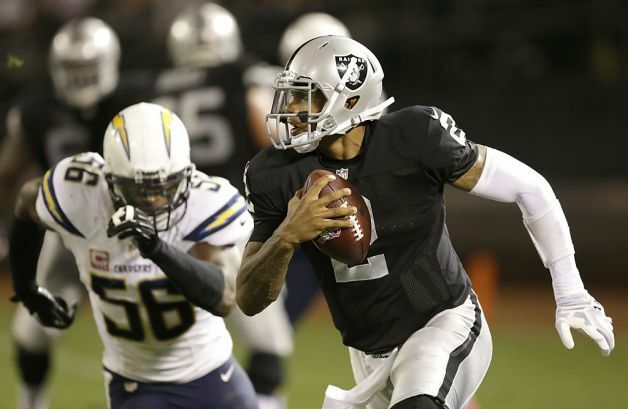 and two long field goals by Sebastian Janikowski to beat the Chargers (2-3). Philip Rivers had his third 400-yard passing game of the season, throwing for 411 yards and two touchdowns with three interceptions. Chico's Aaron Rodgers found things a little more difficult this time around against the Detroit Lions. But, in the end Rodgers and the Packers were 22-9 winners at Lambeau. Rodgers was 20-of-34 and threw for 274 yards and a touchdown. The Packers offense struggled early but found their footing in the second half. The Lions had to play without their all-everytthing wide receiver Calvin Johnson who was sidelined by injury. 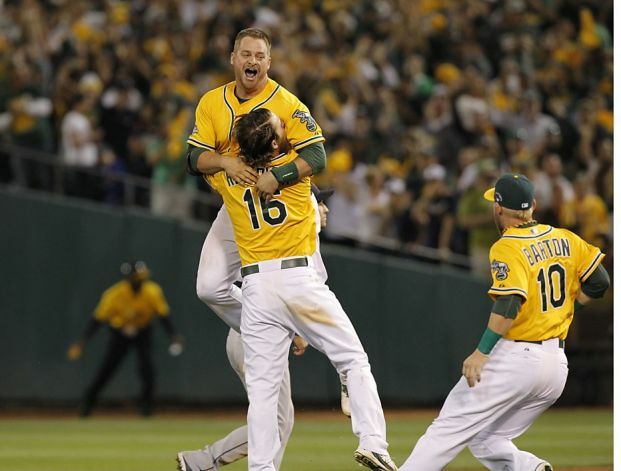 The Oakland A's get ready for Game 3 in Detroit this morning coming off of a dramatic win in Game 2 on Saturday night. Career minor leaguer Stephen Vogt delivered the game-winning RBI single in the bottom of the 9th giving Oakland a 1-0 win. 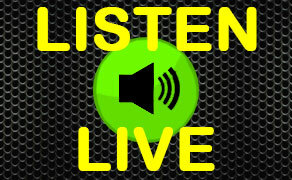 The A's and Tigers play Game 3 this morning at 10am. (AP) — The Pittsburgh Pirates are one victory away from winning a postseason series for the first time since the 1979 World Series. Pedro Alvarez hit a tiebreaking single in the eighth inning and the Pirates beat the St. Louis Cardinals 5-3 to take a 2-1 lead in best-of-five NL division series. Alvarez pulled a grounder into right field that scored pinch-runner Josh Harrison from second base. Russell Martin followed with a sharp RBI single for an insurance run against reliever Kevin Siegrist, who took over after Carlos Martinez faltered. Martinez took the loss. Mark Melancon (meh-LAN'-sehn) picked up the win despite allowing Carlos Beltran's tying home run in the top of the eighth. Charlie Morton is set to start for the Pirates in Game 4 Monday afternoon 12:07pm Pacific time against rookie Michael Wacha (WAH'-kah). 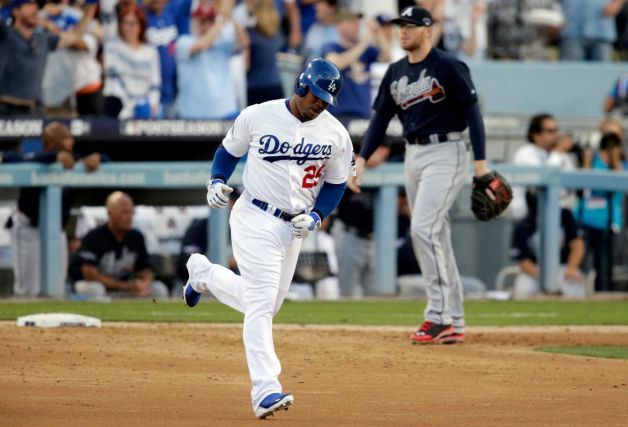 (AP) — The Los Angeles Dodgers hammered Atlanta 13-6 in the other NL division series game. Juan Uribe (yoo-REE'-bay) and Carl Crawford homered for the Dodgers, who now own a 2-1 series lead. Uribe hit a two-run homer while Crawford's was a three-run shot. The teams combined for 19 runs and 24 hits in the four-hour, one-minute tussle. Hanley Ramirez and Yasiel Puig (yah-SEEL' pweeg) each had three hits and scored three times on a big night at the plate for the Dodgers, who matched a franchise record for runs in a postseason game. Brooklyn beat the New York Yankees 13-8 in Game 2 of the 1956 World Series. The Dodgers send out 13-game winner Ricky Nolasco Monday night at 6:35pm when they go for the clincher. The Braves go with veteran Freddy Garcia in what is a must-win game for them. Game time for Game 3 is 3:07pm Pacific time. The Butte College Football team exerts their dominance again with a 68-40 trouncing of Modesto this weekend. Butte runs their record to 5-0 and has bye this coming weekend. They will travel to Santa Rosa on October 18th. The Chico State Volleyball team split a pair of matches on the road. The Cats swept San Francisco State on Friday only to fall to Sonoma State in straight sets on Saturday. The Wildcat women are 7-7 overall and 4-3 in the CCAA. For the Chico State women's soccer team if they didn't have bad luck, they would have no luck at all. The Cats fell on Friday at home 2-1 in overtime to Cal State San Bernardino. And then lost at San Francisco State on Sunday on the road 1-0. The Wildcats are now 4-5-1 overall and 2-5-1 in the CCAA. The Chico State men's soccer team had a great weekend. They swept the weekend disposing of San Bernardino 3-0 on Friday and then scoring a 1-0 win over San Francisco State on the road on Sunday. The Wildcat men are 8-2 overall and 6-2 in the CCAA. The Chico State men's and women's soccer teams are hosting PACK THE HOUSE night at University Stadium. The Wildcats will take on Cal State San Bernardino. The women are 4-3-1 on the season and will play at 4:30pm, while the men are 6-2 and will play 7pm. Chico State volleyball is on the road this weekend. The Cats play San Francisco State tonight and Sonoma State tomorrow. Both matches start at 7pm. (AP) — The brother of a Los Angeles Dodgers fan who was stabbed to death in San Francisco after the team played the San Francisco Giants says he swung a chair at the suspect during a fight. Robert Preece told KGO-TV (http://bit.ly/1768pC5) that he was protecting his brother after another group of people came up behind them. He described the chair he swung as an aluminum beach chair that was a gift from his father from Dodger Stadium. Preece's brother, Jonathan Denver, was stabbed to death on Sept. 25 after attending the Dodgers-Giants game. Police have said Denver's group, many wearing Dodgers garb, got into a shouting match over the Dodgers with the suspect, 21-year-old Michael Montgomery. Montgomery's father has said his son acted in self-defense. Montgomery has not been charged. The Oakland A's get ready to take on the Detroit Tigers in Game 1 of their American League Divsional Playoff. The A's will send 18 game-winner Bartolo Colon to the hill against 21 game-winner Max Scherzer. Last year Oakland lost to the Tigers in the divisional playoffs in 5 games.